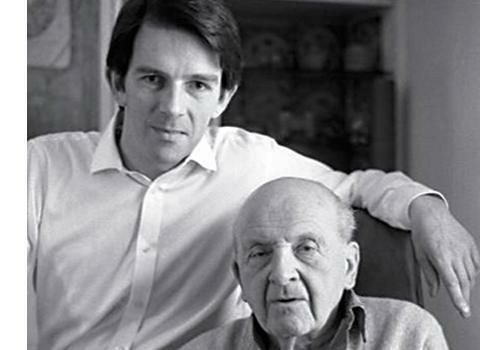 John Allan with Berthold Lubetkin in 1989 (Picture: Catherine Shakespeare Lane/Inslington Tribune). We are hastily circulating two talks by John Allan of Avanti Architects who will be visiting Melbourne in the next two weeks. Apologies for the short-notice but there was unavoidable uncertainties around his visit. We really hope you can come along to either or both talks. John Allan has been a pioneer of conservation of modern movement buildings internationally, particularly in Britain with key projects like St Peter’s Cardross Seminary, Glasgow, works by Lubetkin, Goldfinger and more. And this is a great opportunity to host his visit supported by the Macgeorge Foundation, University of Melbourne. There are two separate registrations for the talks, as one is being hosted by the Robin Boyd Foundation at Walsh Street, and one by ACAHUCH and the Melbourne School of Design at the University of Melbourne. Please do circulate one to any colleagues, lists etc. as we know it is a very busy time in Melbourne in the next couple of weeks but hope to get a good turnout! This talk by Lubetkin’s biographer will offer an illustrated survey of the Russian architect’s remarkable career and distinctive personal vision, together with an account of John Allan’s direct experiences of restoring some of Lubetkin’s best known works. the largest listed heritage assets in England – projects involving contested significance and multiple stakeholders, where a system of agreed protocols and procedures was eventually cultivated through consultation and consensus. There he has led Avanti’s Modern Movement conservation projects and studies, working on listed buildings by Lubetkin; Lasdun; Goldfinger; Patrick Gwynne; Connell, Ward & Lucas; Wells Coates and Maxwell Fry. He authored the Listed Building Management Guidelines for the Barbican and Golden Lane Estates for The City of London.His new build work has included healthcare projects, schools and housing. He has served on several English Heritage committees, and was a Project Enabler at CABE, 1999- 2007. He was founding Chairman of DoCoMoMo-UK 1989-91 and is author of the award-winning biography Berthold Lubetkin – Architecture and the tradition of progress, now in its 2nd edition. He is a member of the Finsbury Health Centre Preservation Trust and Chairman of the Isokon Gallery Trust at Lawn Road.